I was a guest at a party in Jan 2014 and the Bjorn Identity were the group, best night ever and I would wholeheartedly recommend this group to anyone looking for a party with a difference. Many thanks guys! 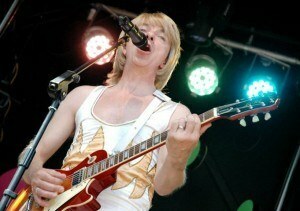 The Bjorn Identity are an amazing ABBA tribute band that not only look the part but sound it. We have used them for our traditional 'Swedish Crayfish Party' every year and the crowds love it, they cannot resist getting up for a boogie! Worth every penny and definitely worth visiting one of their shows! Well done The Belfast Empire for laying on a great night's entertainment.This foursome treated the music of Abba with respect while adding layers of fun and humour. Top notch vocals and musical reproduction of the ABBA sound mixed with a touch of tongue in cheekiness made for an exceptional night's entertainment. This group would go down well at any size of party celebration and I imagine it would serve you well to book them well in advance. Favourite moment: Swedish finger dancing. Setlist: All the hits and a few less well known classics. The Bjorn Identity are the first tribute act we have ever had on the 'Belfast Pride Festival' stage and what a choice they were! We've never seen so many people dance and sing along to a performance. The professionalism from Karen and the team was amazing. We hope to have them back again another year. The BEST Abba tribute I've seen in years! I had so much fun at my party thanks to The Björn Identity! Want a fun night book them now and Abba will be there!! What a night in the Millenium Forum! You guys were outstanding and we're so glad to have had you there, thanks so much for being part of 'From The Heart 4' amazing performance ...thanks! What a fabulous band unbelieveable. Best Tribute act ever. Appeared in Coleraine Social Club and had it rocking. Well Done Abba. We want more! As close to the REAL Swedish Super Group as it gets! The Bjorn Identity performed at Summer Sound Parkfest at Lurgan Rugby & Cricket Club in June 2013 in support of Flash Harry. They put on an amazing show and we will have them back again in 2014. The band were very easy to deal with and delivered everything we could have expected and more. I'm not sure that such parties in Sweden all involve an ABBA tribute band but the local flat pack IKEA festival of crayfish and schnapps wouldn't be complete without music from The Bjorn Identity. One of the best nights ever in the N.I.B.A. 's premiere bowling club. Top notch entertainment. If you like Abba, you'll love The Bjorn Identity! We haven't had an Abba Tribute band perform on the Empire stage for years; because until now, we couldn't find one good enough.